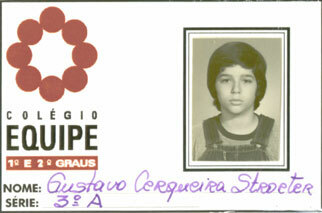 Gustavo Cerqueira Stroeter born in São Paulo, SP, October 15th, 1960. I am a Brazilian musician, and I play the vibraphone. I started playing during the 80's, in São Paulo, Brazil, with a cool jazz/bossa nova quintet called Nouvelle and with my own acoustic big band, the HB Orchestra. I was always interested in the afro influenced music, so we developed our research on the samba, the salsa and the jazz traditions. I believe that the fusion of these roots can create a powerful music, because historically these styles have both the beautiful complexity of African polyrhythm and the sophisticated heritage of European harmonies. Since 2003, I started an acoustic/electronic quartet called HB Tronix. Also, I own a label called Sambatá. We produce projects on Brazilian music and also some experiences blending Cuban and Brazilian contemporary artists. Sometimes I am the producer of my music, but I love to work with three other producers: Arto Lindsay from New York; Kassin and Berna Ceppas, from Rio de Janeiro.